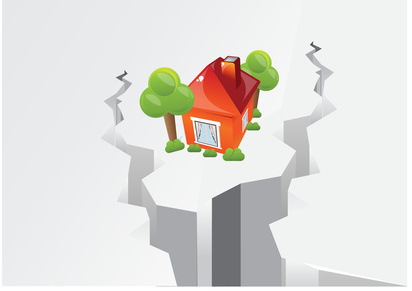 Seismic Activity In Minneapolis Duplex Market | Your best resource for buying, selling, owning and investing in duplexes and duplex homes. While we’re not in California, there are, nonetheless, earthquakes of change in the Twin Cities real estate market. For the week ending October 10, there was a 37.6 percent increase in the number of single family homes that received purchase agreements from the same stretch last year. The number of new listings also continued to drop, down 4.4 percent from the same week one year ago. In all, there are currently 21 percent fewer homes on the market than there were one year ago. The most substantial seismic activity, however, was over in the small multi-family sector. While the number of new listings year over year was up 84 percent, the type of listings that comprised the new inventory was dramatically different. Last year, 94 percent of the new properties on the market for the week were bank owned. This year, just 56 percent were. In other words, the traditional seller has begun to reappear in the marketplace. This trend is further evidenced by the type of properties that received purchase agreements. While 100 percent of last year’s transactions involved a lender in the mediation, just 72.7 percent did for the week this year. The increased market share held by traditional sellers was earth-shattering in the average off market price as well. While last year properties averaged $87,950 when they pended or sold, for the second week in October this year, that figure leaped to $146,290. Whether or not this movement is due to the impending expiration of the first time home buyer’s tax credit won’t be apparent until the dust settles.